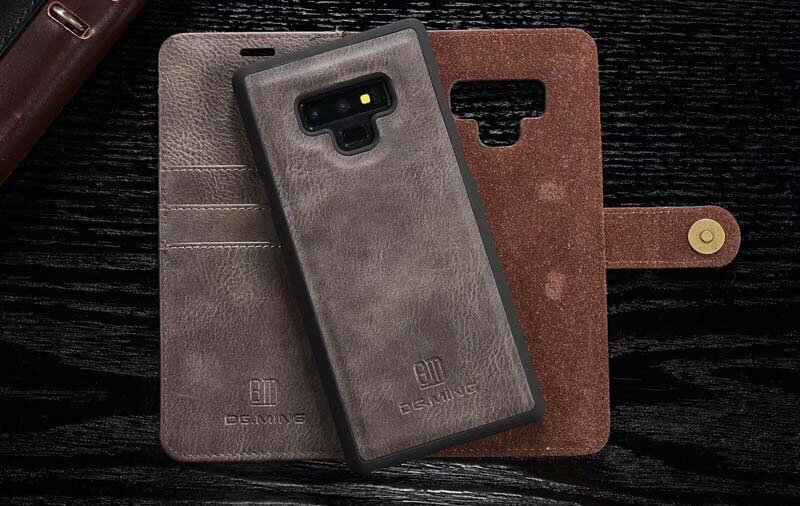 Free Shipping, Buy Genuine Original DG.MING Samsung Galaxy Note 9 Magnetic Detachable 2 in 1 Cowhide Leather Wallet Case with 3 Card Slots at Casemecase.com. 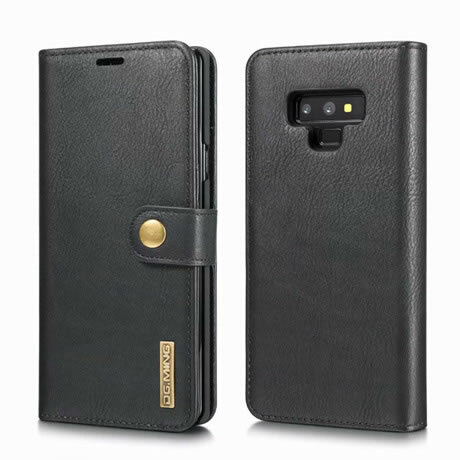 Samsung wallet case are precision made from premium genuine cowhide leather. They look stylish and feel nature and soft. 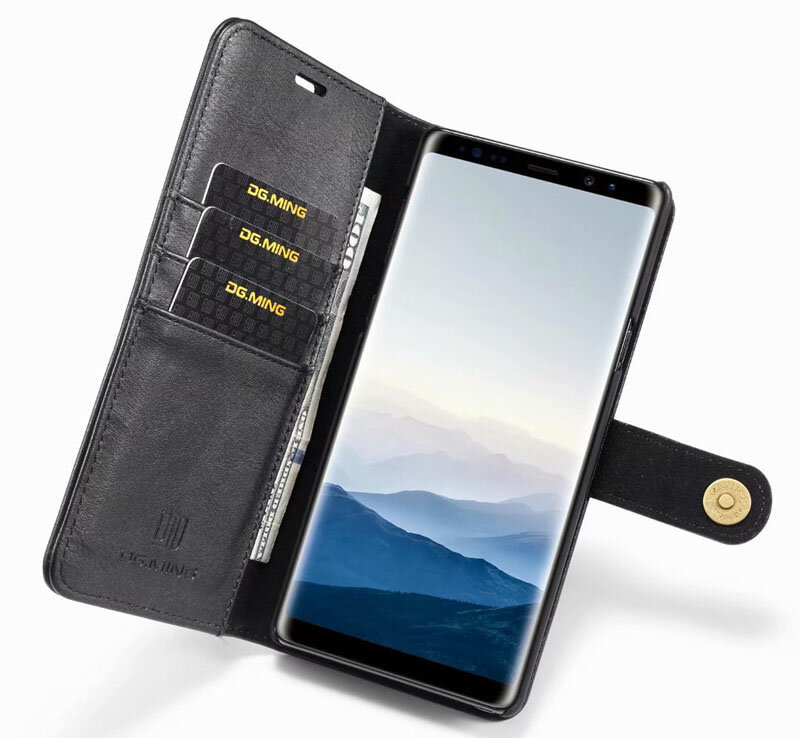 Built in 3 Card Slots, a side pocket for money or additional cards, and the effective and stylish magnetic lock design secures your money and cards. 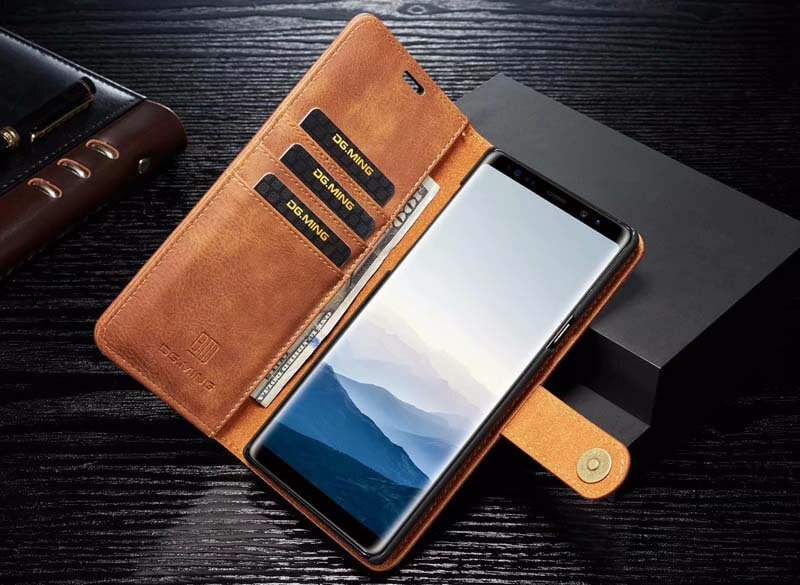 Attached Inner Hard PC Shell Can Be Used Alone as a Slim Back Shell Case to leave the wallet case being a functional purse. 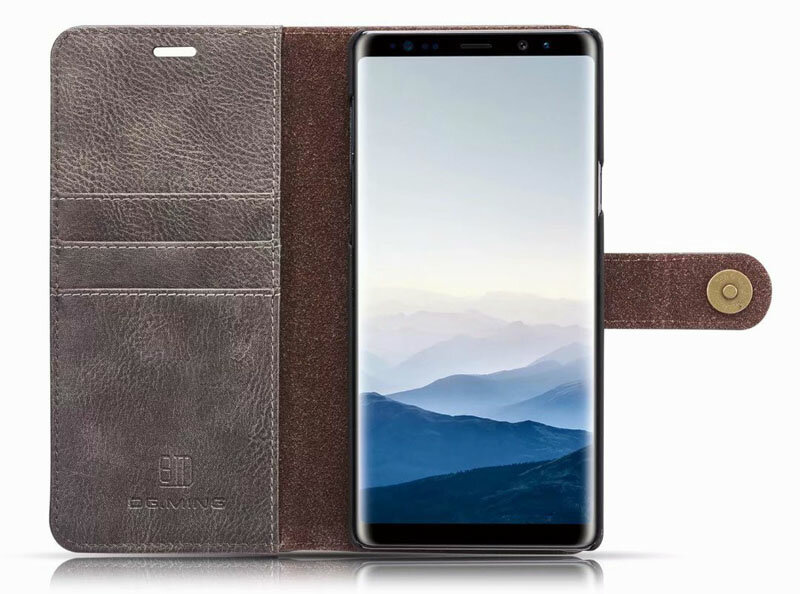 RFID theft protection in three pockets; Easy Open Clasp – simply open and close your wallet in a snap, no need to touch the clasp. This case is great. 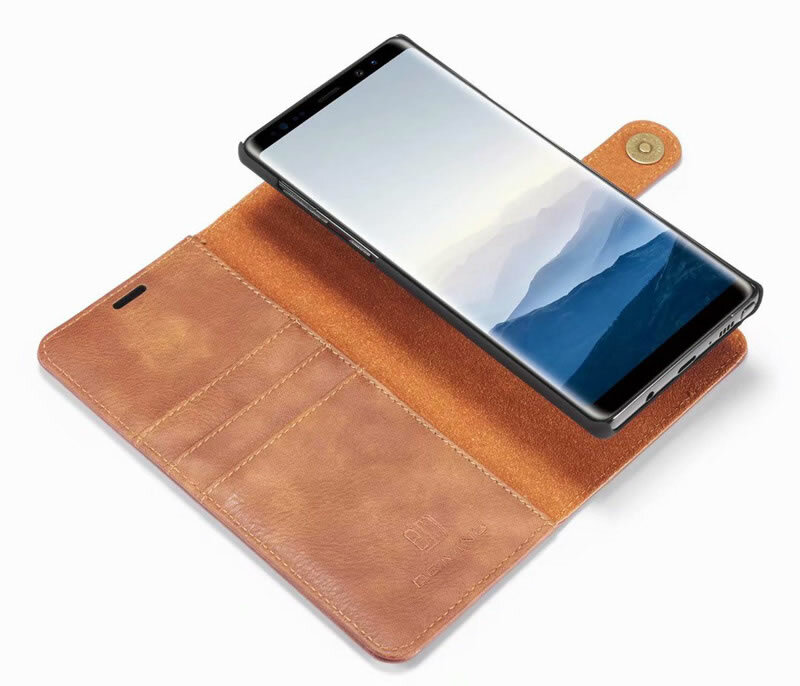 It protects the phone without being too bulky and carries my stuff so that I don’t have to have my whole purse to make a quick trip to the store.